Happy 4th of July! 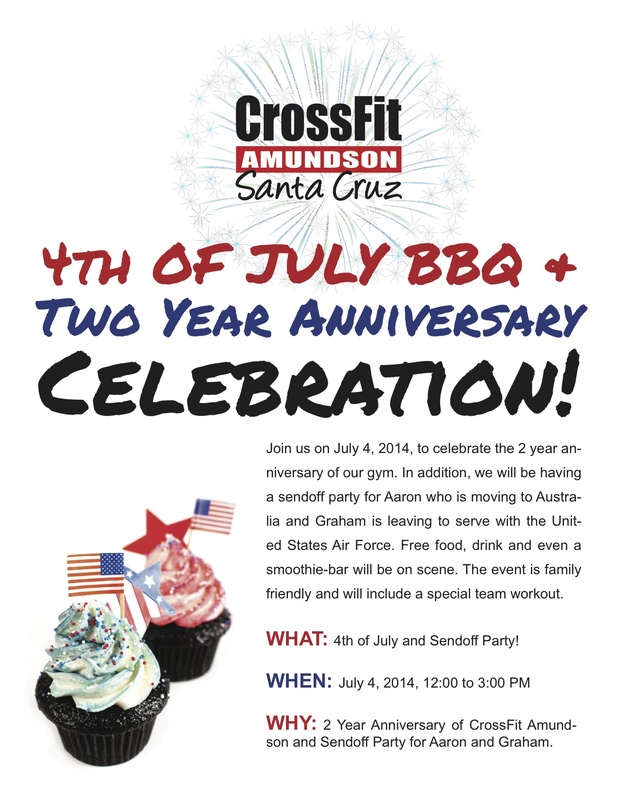 Today we will be celebrating the 4th of July Holiday, the Farewell Party for Graham and Aaron, and our gym’s 2 Year Anniversary! 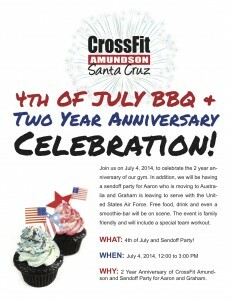 The event is free and open to the family and friends of CrossFit Amundson Athletes. Please be at the gym at 12:00 for the official “Challenge Workout” briefing created by Graham and Aaron. The first heat will begin at 12:30 and continue every 15 minutes.